Dean Wilson Out For Remainder of Supercross Following Denver Crash April 16, 2019 Wilson injured his shoulder and suffered a contusion on his kidneys, but an MRI showed no severe damage. 10 Things: Denver April 12, 2019 “Stank Dog” makes his supercross return, the 250SX West points standings tighten up, the championship returns to Mile High City, and more. Insight: We Can Work with Consistency April 1, 2019 Dean Wilson’s speed is coming back. The Weege Show | Houston SX March 31, 2019 Jason Weigandt breaks down round 13 of Monster Energy AMA Supercross. The Conversation: Houston 450 and 250 Podium March 31, 2019 Watch the post-race press conference from round 13 of Monster Energy AMA Supercross. Insight: More Information On CBD Oil Ban in Supercross February 20, 2019 This week, Feld Entertainment principals respond to the current ban on CBD oil sponsorship. Privateer Profile: Dean Wilson’s Privateer Give Back February 14, 2019 Although he is back on Rockstar Energy Husqvarna, Dean is still giving back to those who are pushing through the tough privateer life. 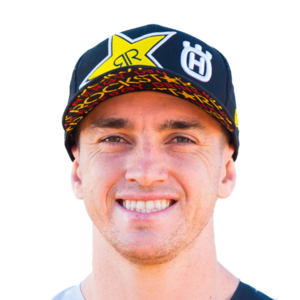 Dean Wilson to Rockstar Energy Husqvarna Factory Team February 5, 2019 Wilson to ride for team for remainder of 2019 Monster Energy Supercross. Insight: Wilson and Bowers January 28, 2019 Post-race progress reports from two 450 riders pitting out of vans. Between the Motos: Wilson and Barcia January 14, 2019 On round two, their heat race battle, and more. 10 Things To Watch: Glendale January 11, 2019 Justin Barcia and Colt Nichols take over the red plates, Dean Wilson is coming off of the most impressive race of his career, and more. Insight: Wilson’s Big Weekend January 9, 2019 We talk to Dean about A1, and NBC provides its perspective on his sponsorship controversy. Breakdown: Anaheim 1 January 8, 2019 Former Pro Jason Thomas shares insight on the conditions, nerves, track, and plenty else from Anaheim. Dean's Non Fill-In Fill-In Deal January 5, 2019 He's getting all the support he wants, just under his own tent.